You need a prescription to see a PT. Truth: Physical therapists in Utah are able to evaluate and treat any patient without a physician referral. The caveat to this is that there are still a few insurance companies require a physician referral to reimburse treatment. Most private insurance companies respect the “Direct Access” policy for physical therapy – that is you can go see a doctor of physical therapy (DPT) without having to go see your primary care physician first. Check out our article “Do I need a Physician Referral” for more information. Research has shown that early physical therapy intervention actually leads to the most cost effective treatments and best clinical outcomes. 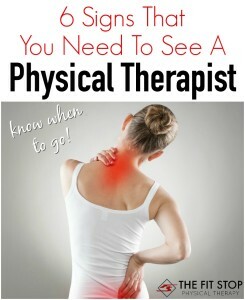 If you are hurting you might be interested in these “6 Signs You Should Go See A Physical Therapist” wherein we give you some advice as to when you should stop waiting and start seeking help. Of course you can always Contact Us and we can help you with any questions you may have about your pain and/or your insurance. You have to go to the PT your physician sends you to. Truth: Actually, you have your choice. Just because it is written on a special note pad or it says a specific PT on your referral form, you still have the right go wherever you’d like despite your physician recommendation. It is illegal in most states for physicians and physical therapists to have pre-arranged referral contracts. Your physician can recommend several in your area but should give you an array of options so you can choose the physical therapist who you feel will be the best match for you. The only caveat to you having full free reign on which PT you visit is usually your insurance company. Due to insurance contracts some physical therapists in your area may not be paneled with your insurance company. In that case you may have to shop around a bit or be willing to use cash pay visits to see the physical therapist you’d like to go to. 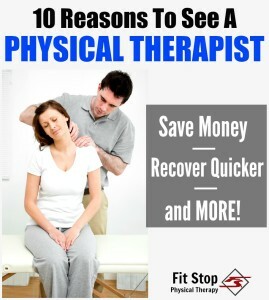 If you need help finding a physical therapist give us a call at Fit Stop and we’ll do our best to help you. Click this link to see a list of insurances we accept. PT is going to hurt. Truth: The point of physical therapy is actually to maintain or restore function. This includes eliminating pain so that someone can function pain-free. Sometimes restoring function, especially range of motion, requires some stretching and mobilization of joints which can be painful. The idea is that a little bit of stretching can help you to avoid long term pain and reduce your pain and symptoms throughout the rest of your day. Unfortunately, some of the stretches and exercise can be uncomfortable, but overall we seek to eliminate your pain and get you back to full function and mobility. For more information Read Here about the treatments physical therapists provide. You’ll find that the point of all of them is to eliminate pain and help you get moving again. Truth: Yes, physical therapists are experts at rehabilitation. We have very specialized training and skills in helping people return to full functional mobility. This is only half of the story though. Physical therapists are involved in nearly every aspect of healthcare. No matter what your diagnosis is, if it affects your movement or function in any way then there is a PT for that. 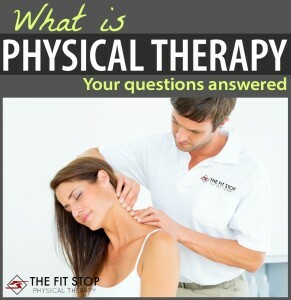 Click here for more information about “What is Physical Therapy” is and how it can help you. Any physician, health care provider or chiropractor can perform physical therapy. Truth: Physical therapy is a set of specialized skills which can only be performed by a licensed physical therapist. In most states it is illegal for other health care and non-health care providers to claim they are providing physical therapy. 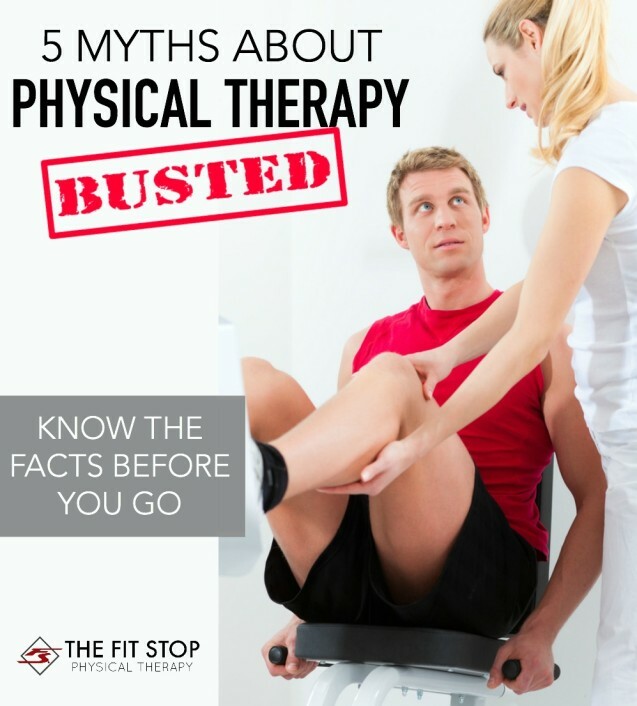 You may see some advertise or have physical therapy listed as a provided service, but unless this is being delivered by a PT it is false advertising. Make sure that physical therapy care you receive Is actually being provided by a licensed PT. We hope this information helps to clear up some of the most-common myths and misconceptions about who we are as physical therapists and the services we provide. If you think you may benefit from consulting with a physical therapist or if you have any questions about physical therapy in general please don’t hesitate to contact one of our 3 conveniently-located clinics by clicking on this link. Interested in learning more? Check out more of our great blog posts! Wow, there really is some fantastic information in here, my wife and I really did think that she could only go the therapist her doctor recommended. It’s a bit of a relief to hear that that’s not the case since her friend recommended a couple that she thought were better. It’s also nice to know that not everything will hurt and that it will mostly be minor pain from stretching muscles and joints.